For the third episode of Vos Group, Dr. Lane Tipton joins Camden Bucey to discuss the final portion of the first chapter of Geerhardus Vos’s Biblical Theology (pp. 11-18, “Guiding Principles” through the end of ch. 1). 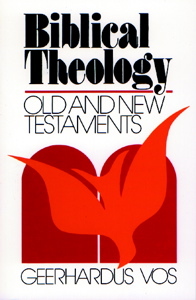 Vos’s view of biblical authority governs his method of studying Scripture and particularly the use he makes of knowledge of the biblical authors’ historical contexts. Today’s discussion also covers the relationship between biblical and systematic theology.